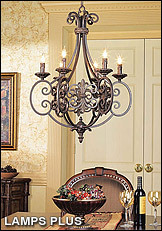 Lighting for Your New Home! 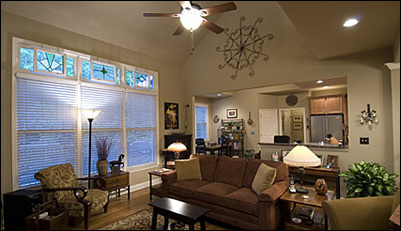 Ceiling fans are an important part of creating the perfect home decor. During the last decade ceiling fans have become much more technologically advanced and aesthetically pleasing. They provide cooling during the summer months and warming during the winter months, which saves you a lot of money on your yearly energy bills. Home lighting is probably the most important element in home interior decorating, because it is instrumental in setting the mood of any room. It can affect performance, mood, morale, safety and security. When deciding what lighting to use in your new home it's important to consider how each room will be used, what fixtures are appropriate, energy efficiency and cost.